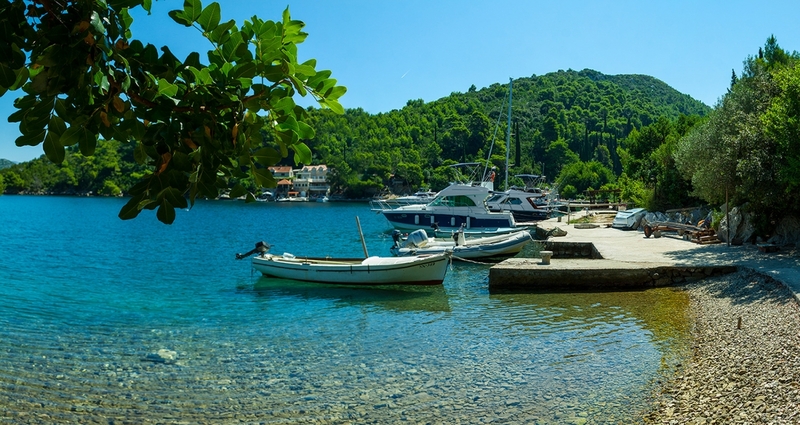 With this title, I am quoting my clients when I took them to Kobaš bay on the south of Pelješac peninsula the first day of our south Adriatic sailing trip. I was a little upset by the “middle of nowhere” part of the quote but this place really is hidden. Kobaš bay is a small bay surrounded by mountains and hills on the far south part of the peninsula. The central position of the bay hides a small pier and Niko’s fishermen house. 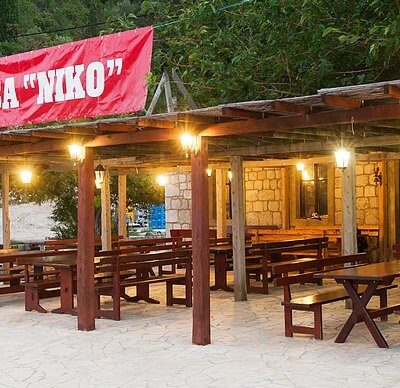 Niko is the cheerful owner of this tavern while his brother is in charge of food preparation. Niko’s wife told me that Kobaš is much more than their tavern. Just beside their house there is a small chapel and the remains of a Betondić family summer residence. The Betondićs were the noble family from medieval Dubrovnik, while the literature history remembers Jozo Betondić as the author who recognized Kobaš as the place in which he talked to the muses while writing his poetry in the 18th century. In the 20th century, Kobaš was known as a humble fishermen’s village inhabited by only 7 families. They were all brutally killed by the aggressor in World War II. Visitors can honor the victims at the monument built just above the shore. When asked about the life there, Niko’s wife told my clients that she was afraid of boredom when she decided to come to live in Kobaš (she was born in Poland). She realized that it’s never boring there because Niko always has something to do. His family has vast vineyards and olive fields to take care of while the fishermen tradition hasn’t died. When the menu, mentioned above, was finished, my clients wanted to pay the bill and hit their beds but that wasn’t the end of the story. The main course appeared as a perfectly done snapper from the grill. My poor clients did not expect that so they weren’t able to finish the fish. 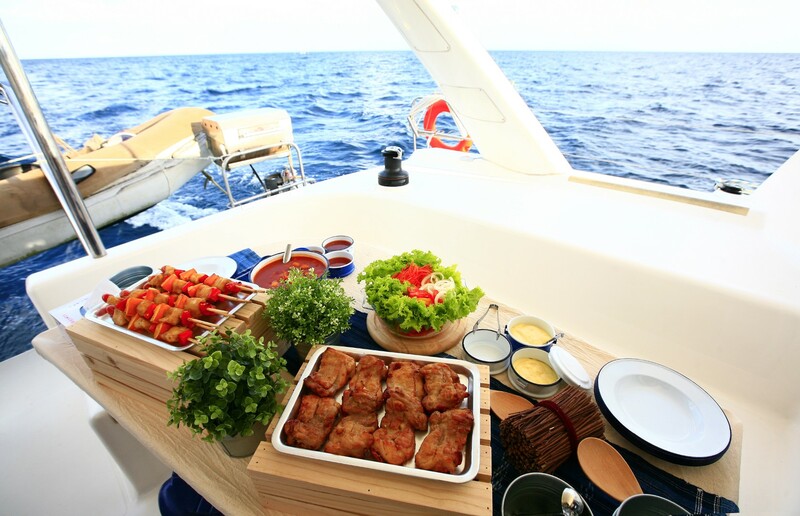 Since no leftovers are allowed on my yacht, Niko suggested we kept the fish for the morning when he would prepare a beautifully fresh fish salad along with a hot homemade bread. 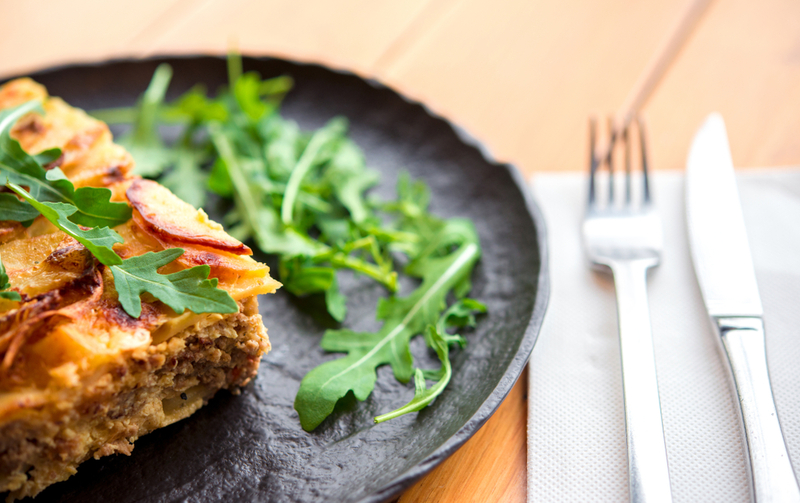 I am always sad when I have to leave Niko’s place because his family and staff are so cheerful and friendly, not to mention the delicacies on the table. Just before I released my mooring lines, Niko grabbed the spear and hit the octopus, which swam in the shoal behind my stern, in the blink of an eye. He just managed to shout that I was missing a fine lunch by leaving. I just replied in a manner of the Terminator – I’ll be back!